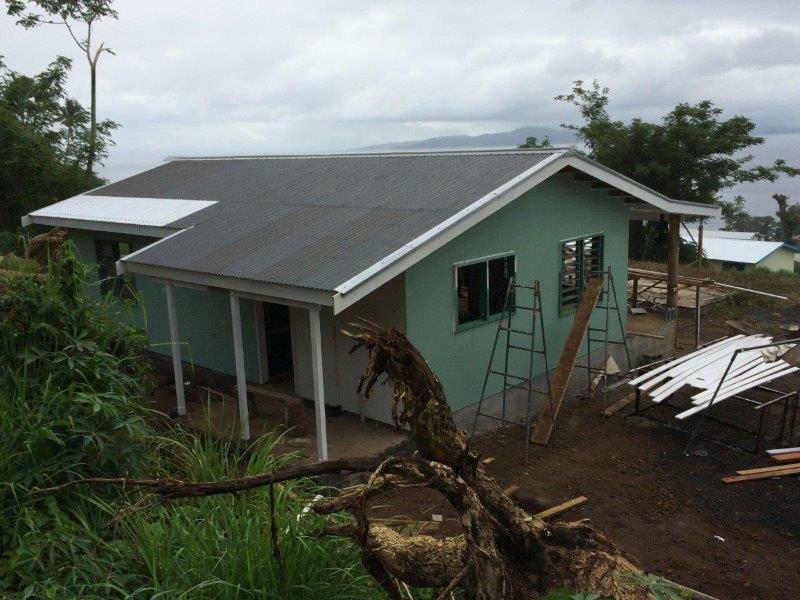 One of the first buildings to be re-instated after a disaster such as this year’s Cyclone Winston is teacher accommodation so as to retain that most important element of education, the teacher. Good houses attract good teachers. 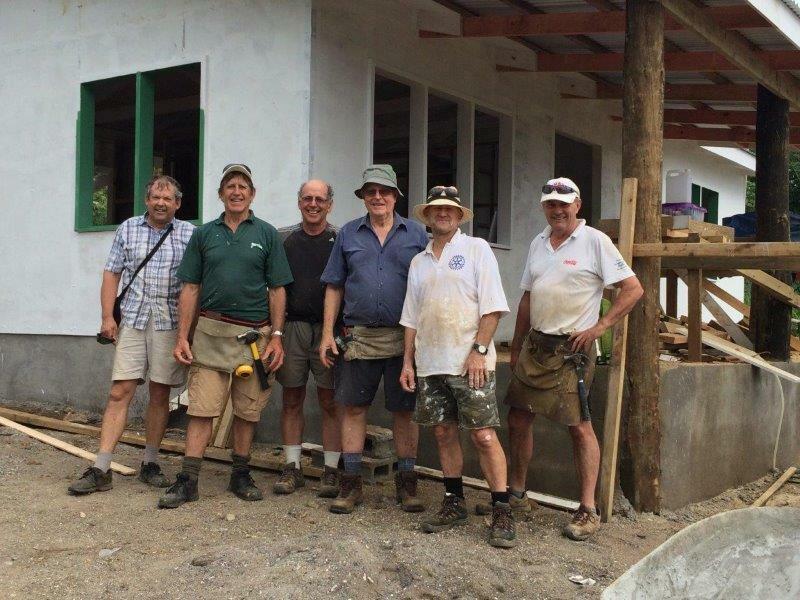 Ron Lucas of Plimmerton Rotary joined a team of Rotarians from Pakuranga Rotary to build a teacher’s house at Niusawa High School, on Taveuni Island, Fiji. It is the third of seventeen houses which will be constructed with local and international assistance. What was just a concrete slab at the time of the team’s arrival was a fully enclosed structure little more than a week later. The roof was on, the cladding complete with windows installed, much painting done and all the internal walls finished. The only work remaining before a teacher can move in from temporary accommodation in a school classroom is to tile the bathroom area, complete the kitchen and install the plumbing. The final coat of four coats of paint also needs to be applied to the outside. 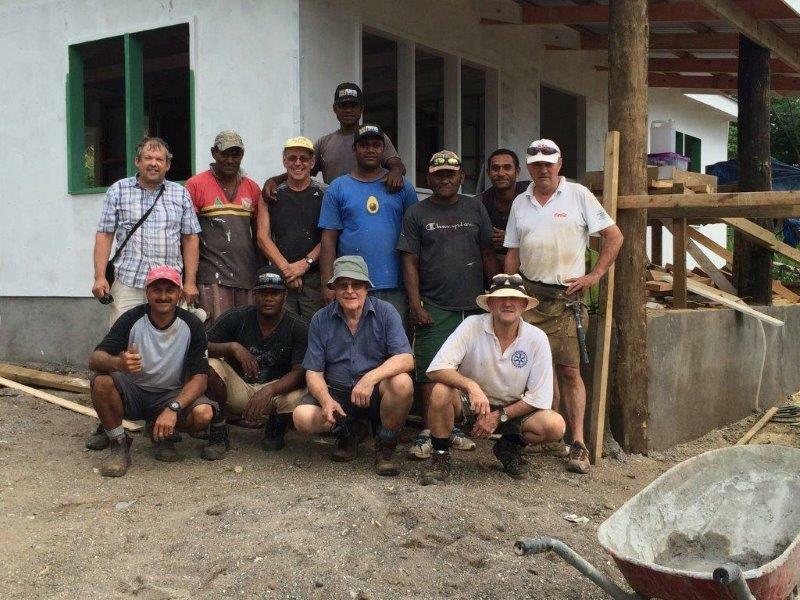 The team worked extremely hard, alongside a team of Fijian builders, and are particularly grateful for being looked after so well by Geoffrey Amos and Joey from the Rotary Club of Taveuni. 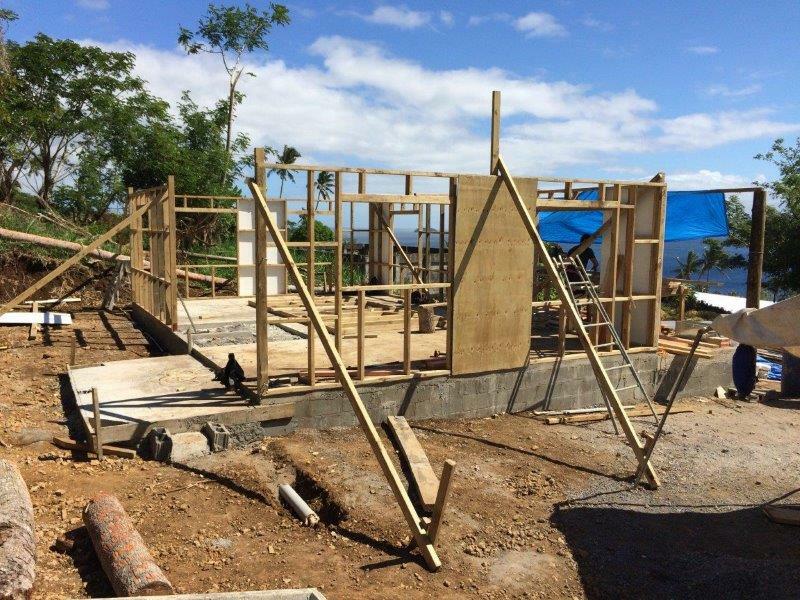 Their dedication to this project is acknowledged by all the locals and the Taveuni Rotarians. Ron noted work previously done at Niusawa High School by Plimmerton volunteers had withstood the cyclone unscathed, as is the case with other buildings constructed with Rotary involvement and funding. The people of Taveuni have suffered immensely from the effects of Cyclone Winston. There is still a mountain of work that is needed to restore this island to its former self but there is a huge sense of satisfaction in being able to help people who have experienced such misfortune. The Rotary Team: Chris Ward, Don Lawry, Clive MacDonald, David Worsnop, Bruce Idoine of Pakuranga Rotary and Ron Lucas of Plimmerton. Original generation time 1.4998 seconds. Cache Loaded in: 0.0005 seconds.